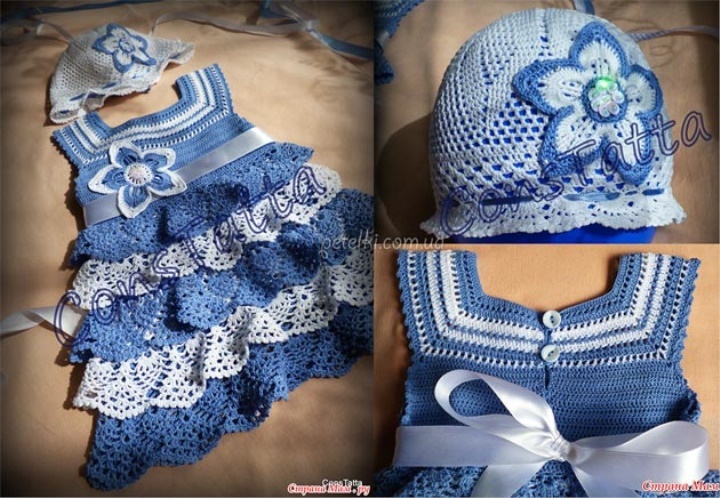 A luxurious set for a half year old girl, consisting of a dress and panama. Connected him to Constatt. Used yarn - Pelican, 50g - 330m.